These students are living in the most intensely stimulating period in the history of the Earth and adolescence is a time of immense maturing socially, mentally and physically. So education needs to be flexible, relevant and innovative, so your child can find their unique place in their world. Students are encouraged to speak in Italian and apply their learning in a number of situations and activities such as instructions, reading, stories, role-playing, dialogue, performance, singing with actions, reciting and games. Learning a language contributes to the development of skills in thinking and reflection and the development of inter-culturally aware citizens. Engaging adolescents through experiential learning. By engaging students in physical learning, by engaging their hands together with their intellect, students are involved in a contextualized experience where they can see the practical application of their learning and the relevance of their studies to the world around them. Experiential learning is the point of engagement for adolescents. 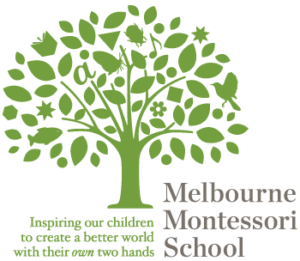 At Melbourne Montessori Senior School we use location as a driver for learning and empower students to shape their world. Students might choose to build a bicycle to learn about dynamics and gear ratios or encounter history face to face making a documentary with a WW II veteran at The Shrine. Nourishing creativity and innovation through independent thinking. Students are supported to become self-motivated and self-disciplined, able to commit to freely chosen, developmentally appropriate work within an approved broad curriculum. Subjects such as Creative Expression and Design and Digital Technologies additionally allow students to develop varied outlets for imagination and a deeper understanding of themselves. Students can design and create improvements to their area, develop and maintain micro-economic businesses and pursue their passions further. Empowering students to become the best they can be. Our young people work with teachers and mentors to explore their place in local communities, help indigenous Montessori schools, volunteer in our local aged care homes, and develop the confidence, knowledge and practical skills to contribute to our local and global communities. Through exploring social, moral and ethical issues students will foster a sense of justice, empathy, social awareness and sense of responsibility in their life and the lives of others in the community. Our young people have made decisions, and set goals for themselves. At Melbourne Montessori Senior School, students belong to a community which fosters a sense of justice, respect and personal dignity. Preparing for life: today and tomorrow. As active participants in the learning process, students drive their education based on their needs, different abilities, interests and learning styles. They become genuine life-long learners, capable problem-solvers, ideally placed and pursue future work and study pathways. Students learn how to think critically, to inform themselves, to analyse and synthesise information, to work both independently and collaboratively, to express themselves imaginatively, to seek out experts and to become self-reliant.